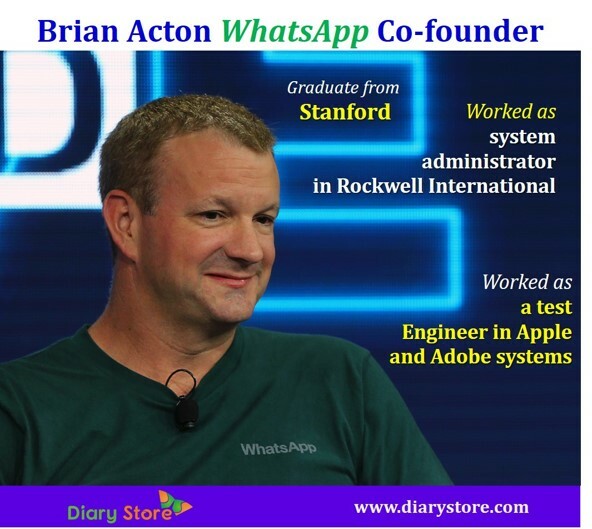 Brian Acton is more popular as the co-founder of very popular mobile messaging application WhatsApp that helps people stay connected. Acton was born on 17 February 1972 in Michigan to Norma Acton. Brian Acton is an American computer programmer and Internet entrepreneur. The man who was rejected by Facebook as an employee sold WhatsApp to Zuckerberg, co-founder of Facebook. In 1994, Brian Acton was graduated from Stanford University in computer science. Earlier he also studied in University of Pennsylvania and University of Central Florida. In 1992, Brian Acton worked as system administrator in Rockwell International. Later he worked as a test engineer in Apple and Adobe systems companies. Brian Acton was hired by Yahoo Inc in the year 1996 and he was the 44th employee of Yahoo. Yahoo was hired Jan Koum in 1998, who later become the co-founder of Whatsapp along with Acton. They are worked together for many years at yahoo. In the year 2000 Acton invested in the dotcom boom and lost millions in the dot-com bubble. In 2007, both Acton and Koum decided to leave yahoo and took a year off. They started travelling around South America. Both applied for a job in Facebook but both were failed. Koum bought an iPhone in January 2009 and realized that the then seven-month-old App Store was about to spawn a whole new industry of apps. Brian Acton visited one of his friends Alex Fishman and talked about developing an app. A week later on his birthday 24 February 2009, Whatsapp was incorporated in California. Koum choose the name Whatsapp because it sounds like daily phrase “what’s up”. Social networking has become a vital part of people’s life in the present times. There are a number of social networking sites such as Facebook, twitter, Orkut. In mobile phones Hike, WhatsApp, Line, Wechat, Messenger, Viber are some examples of instant messaging applications. Out of these, Whatsapp is the most amazing app and more than 1 billon people are using it. Due to the high level of flexibility, privacy, security and ease Whatsapp has become very popular worldwide. In the year 2014, Brian Acton and Koum agreed to sell Whatsapp to Facebook for $19 billion USD in cash and stock. According to the Forbes, Acton held over 20% stake in the company. 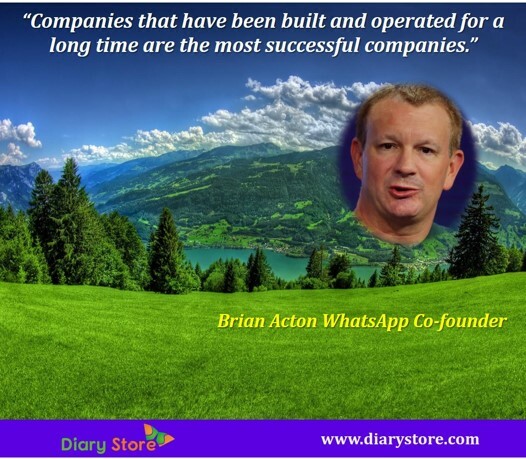 Brian Acton is now one of the wealthiest men he is the 551st billionaire in the world and 190th wealthiest man in USA. “Your insurance broker has your telephone number, but your insurance broker doesn't have your Facebook ID. I think they are very different modes of communication. Commingling them can come with risk and peril”.